I'm super happy to let you know that we have a brand new shop release of products now available! This release includes a chipboard bundle, a sticker bundle, a die cut bundle, an embellishment bundle, four new stamp sets, two new journal card sets, and a set of Day In The Life™ cards. I'm hopeful you will find something here to help you get your stories told. Digital versions of these products will be released over the next couple of months (at the beginning of the month along with our other monthly digital releases unless otherwise noted in the description). First up is a chipboard bundle that includes five different 4x6 sheets of chipboard stickers.Themes include everyday life, love and travel. A digital version of the last chipboard set in the pile shown here was included in the Hybrid Workshop digital package. Love releasing it as an actual physical product now. Next up is this super-cool die cut bundle that includes three different die cut sets. Some of these are fairly big and would be awesome on traditional layouts. I love how they turned out. Weekly 4x6 // By popular demand this hand-drawn set will work awesome for your Weekly Project Life® title cards or any other number/date titles. 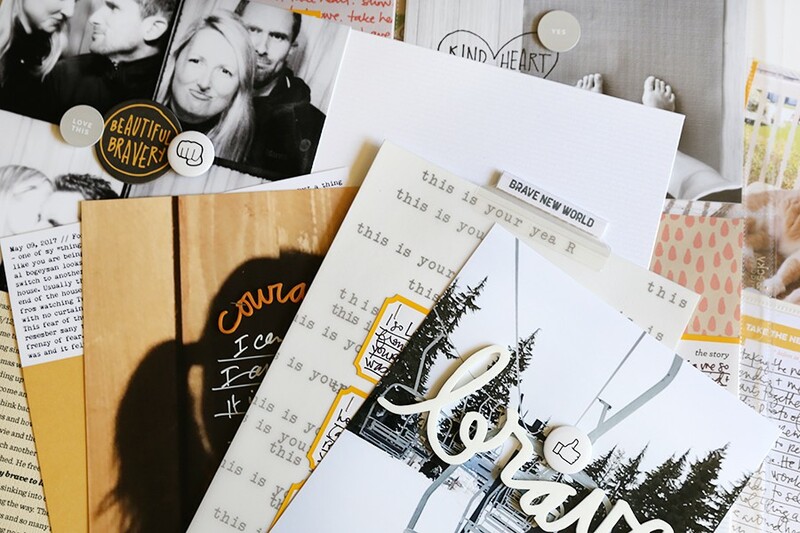 Outdoor 4x6 // Document your outdoor adventures with this versatile stamp set. 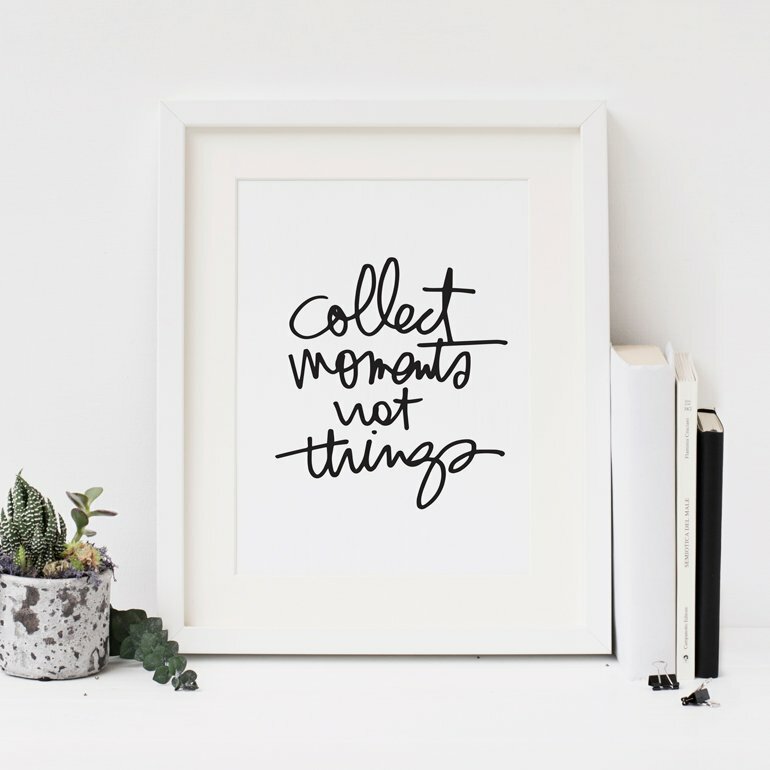 Monthly 4x6 // Monthly abbreviations for each month of the year. These would also work awesome along side the Weekly set. Embrace The Mess 4x6 // Everyday life is often messy - tell your stories using the real life phrases and sentiments. 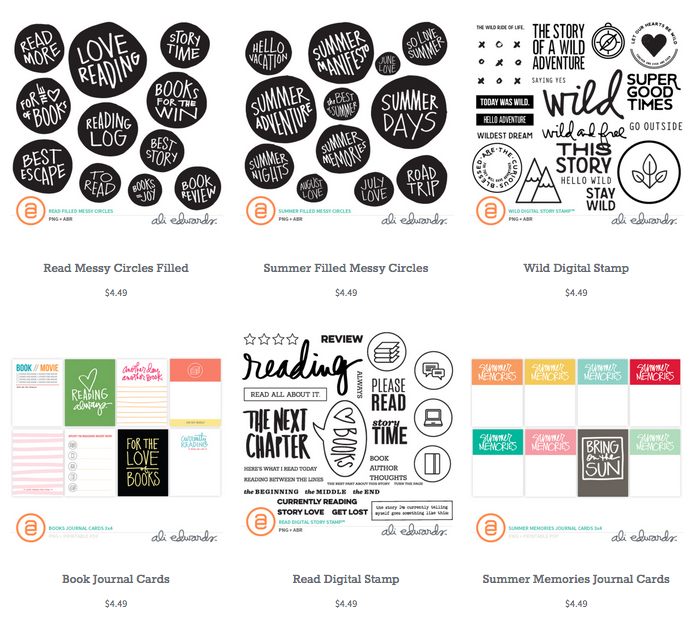 Next up is a sticker bundle that includes five designs - two sheets per design. 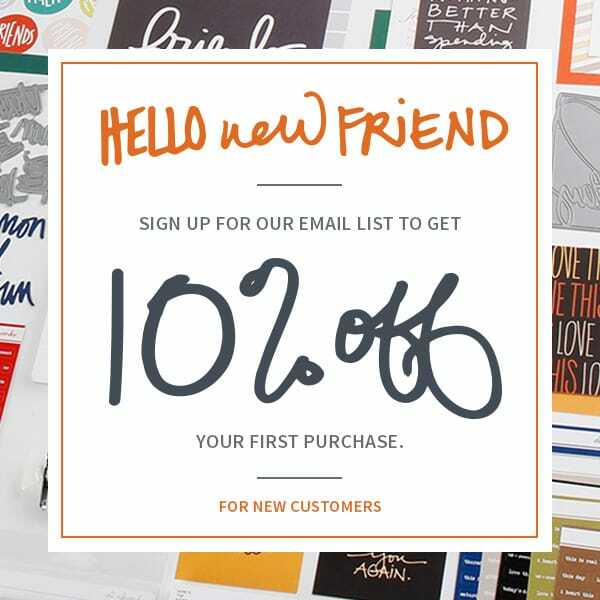 Designs include everyday life sentiments on banners, large circles, our favorite label sticker design, tabs, and a mixed circle/speech bubble design. I'm totally looking forward to incorporating these into my Project Life® album. Some of the 3x4 cards in the Travel set are included in the digital More Go 3x4 Journal Cards. 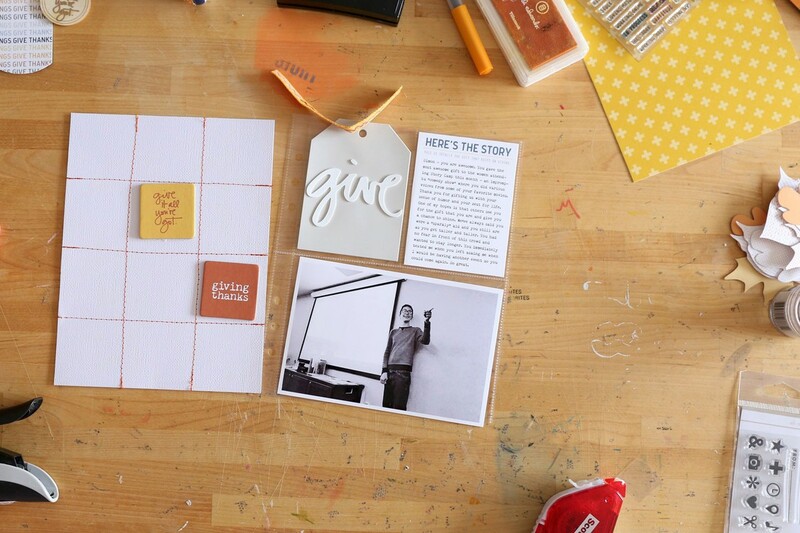 The 3x4 cards in the Brave New Day set were part of the digital Encouragement Journal Card set. We will offer the 4x6 cards for each set separately within the next couple of months. Next up is an embellishment bundle that includes transparent circles, cork shapes, and plastic hearts and stars. Last up for this summer release are a set of Day In The Life™ cards and a die cut pack. This was originally going to be a mini kit but the third product we had intended to include were damaged so we decided to just include these products with this release. I'll announce a date soon for the next documentation day - I'll be using these cards to tell my story. As always, thank you so much for helping to support my mission to help people tell the stories of their lives. It was a chipboard set - we are considering adding a "slightly damaged" section to the site in the future that would show you exactly what was wrong with a particular product and then you could decide if you wanted it or not :). Thanks for the great new releases Ali! Website update...and I know you're working on this but... a wishlist option for I'd love to buy, but waiting on cash flow. Blah. I have no willpower.......I love, love, love the stamp sets and sticker sheets and cards....had to buy! Ali you are so awesome! Love the products and the variety. I'm gonna have to budget for all I want. Keep the shop items coming so we can all tell stories. Super cute embellishments, Ali! Thanks for making new goodies for us non-digital scrappers. I'd better shop quickly before they sell out! I may have to re-visit my order - ugh! You're killing me, Ali. In a good way! Pulled into my driveway and did a little inside happy dance when I saw the kraft colored box with the white and orange tape waiting on my porch! I can't wait to open it and see the Summer Release goodies! !